What Are Pre-Trial Hearings? | Raw Law | Law Offices of Adam M. Thompson, P.C. If you have been charged with a criminal offense in New York or New Jersey you will likely be required to make several court appearances throughout the prosecution of your case. Ultimately, your case will be resolved at trial unless the charges are dismissed or you elect to enter into a plea agreement with the State. 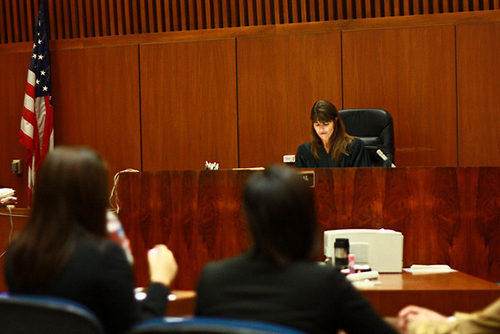 Prior to your trial date, however, you will likely attend one or more "pre-trial" hearings. Understanding the purpose of pre-trial hearings should relieve some of the anxiety you likely have about appearing in court. Pre-trial hearings can serve several purposes. In all criminal prosecutions pre-trial hearings provide the court with the opportunity to find out where the case stands and when the parties will likely be prepared for trial. At the beginning of the case a pre-trial hearing might also be used to discuss a reduction in your bond amount if you remain in custody because you are unable to pay the current bond amount. Another important function of pre-trial hearings is to allow the parties to argue motions filed with the court. For example, if your attorney believes an illegal search of your home was conducted as part of the investigation in your case a motion will be filed asking the court to suppress (exclude) any evidence obtained during the search. Naturally, the prosecution will likely object to the motion. Therefore, the judge will have to decide based on the briefs submitted by both sides and (typically) arguments presented by both sides during a pre-trial hearing. Likewise, confessions or statements made by the accused or an identification made of the accused may be challenged based on them being improperly obtained. These challenges will be the subject of motion practice and a pre-trial hearing. If you decide to enter into a plea agreement instead of taking your case to trial a pre-trial hearing will be used to accept the plea agreement. The court is required to go over the terms of the agreement with you to ensure that you understand them and that you are entering into the agreement knowingly and voluntarily. Finally, if your case is going to trial, pre-trial hearings will be used for trial preparation. Issues such as witness lists, jury instructions, and stipulations will be discussed and finalized during pre-trial hearings held during the weeks leading up to your trial date. If you have specific questions or concerns about what will take place at a pre-trial hearing scheduled in your case be sure to consult with your New York or New Jersey criminal defense attorney. Click here for a free case review.